As we are in the middle of Women’s History Month, FORCE is proud to share this interview with Marissa Alexander. Marissa Alexander is a survivor and an advocate, who was arrested and charged with aggravated assault in August of 2010 for firing a single warning shot after being attacked by her then estranged husband. 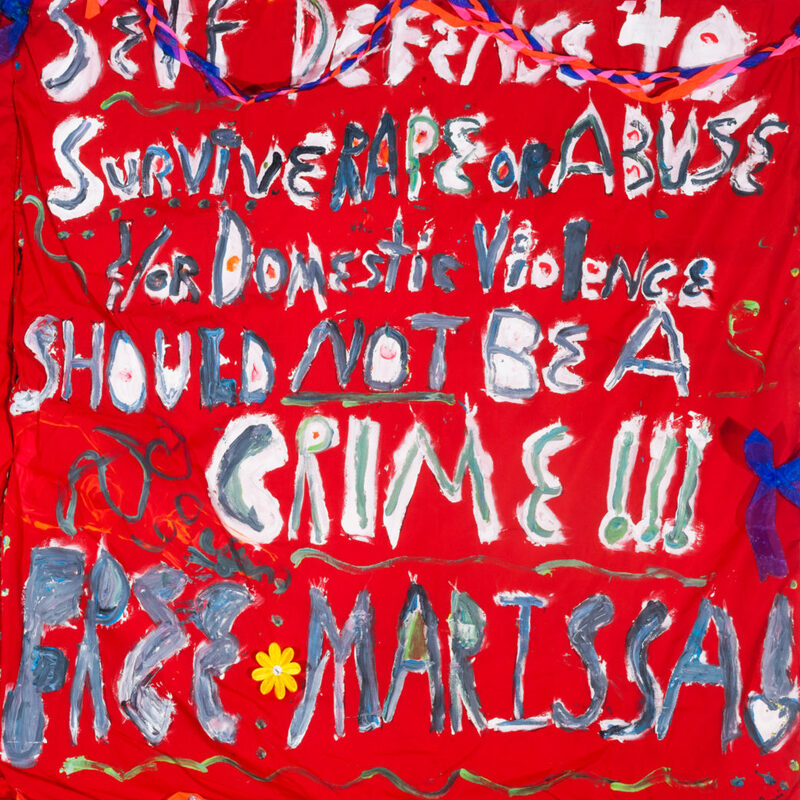 In August of 2012, Marissa was sentenced to twenty years in prison under Florida’s harsh minimum mandatory sentencing policies. In 2013 an appellate court overturned her case as a result of faulty jury instructions. In November 2013 she was released on bail and required to stay on house arrest. After a long journey fighting for her freedom Marissa accepted her original plea agreement of three years and completed her sentence of 65 days in the Duval County Jail. Upon release she remained on an ankle monitor under strict probation supervision. Finally, in January of 2017, she was released. Her story gained national attention and shed light on harsh minimum mandatory sentencing policies as well as the Stand Your Ground Law. 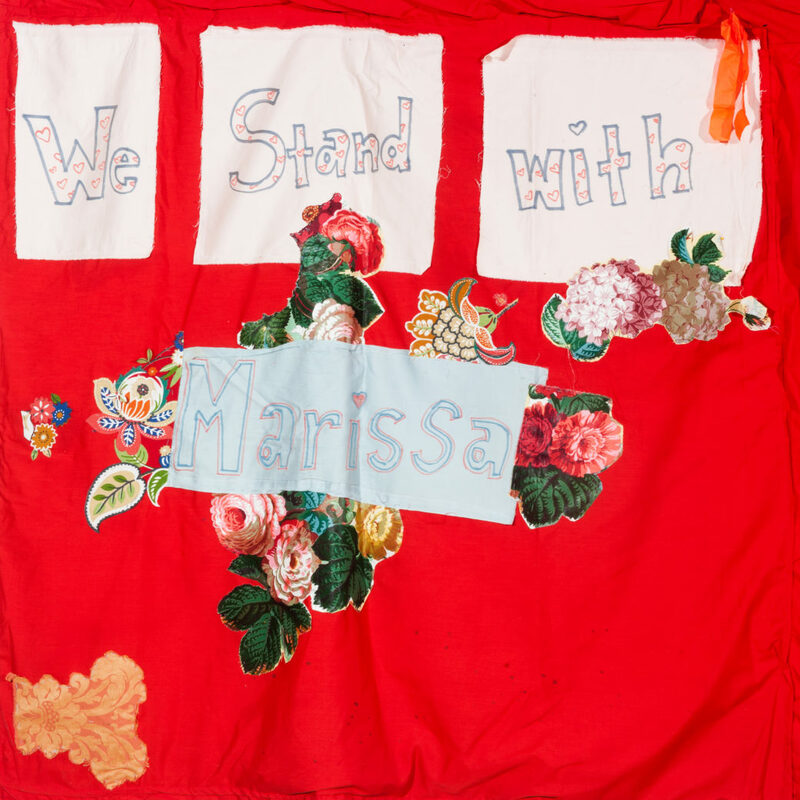 Back in 2014, FORCE joined a coalition of organizers to show Marissa Alexander that fellow survivors stand with her. 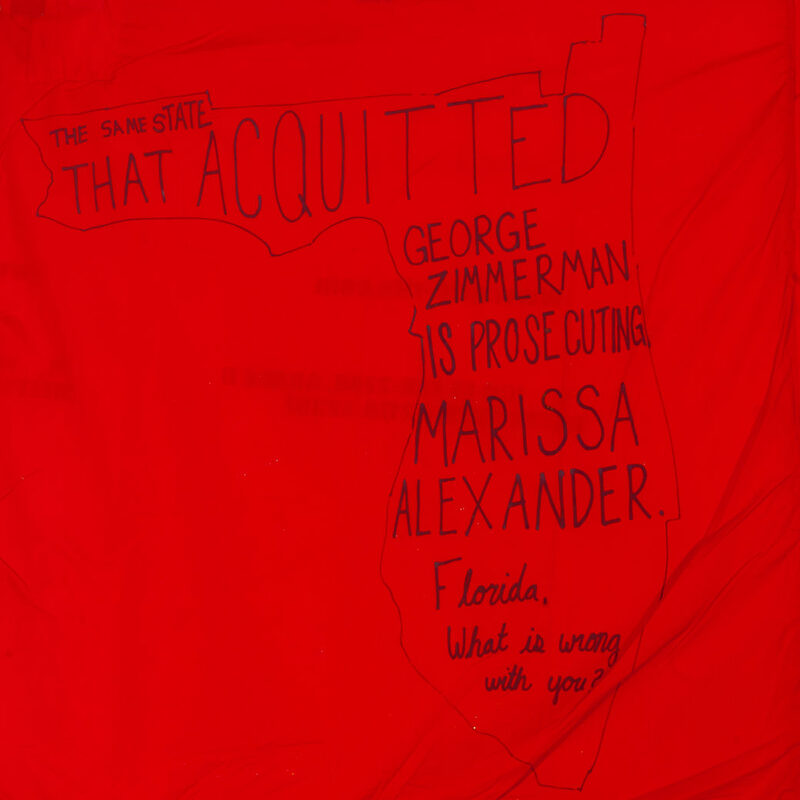 We collected Monument Quilt squares with messages of support and affirmation, and blanketed the Duval County Courthouse with those quilts in January 2015 during her final sentencing hearing. Today, we are honored to announce that, on June 1, Marissa Alexander will be the Keynote Speaker during the Survivor Policy Convening at the Culminating Display of the Monument Quilt on the National Mall. In honor of her story and ongoing advocacy, we asked Marissa Alexander a few questions about her healing journey and her activism. Here is our conversation. Marissa, thank you for your words, your advocacy, and your grace. At FORCE and in our Monument Quilt project, we think about healing as being lifelong and non linear. For some of us, activism is part of our healing journey. For you, does activism, advocacy, and/or telling your story connect with what healing looks like – if so how? If not, can you talk about what is important in your healing process as a survivor? My healing process has been non-linear. Healing occurred in different stages, and in varying degrees. It was God’s way of being patient with me – allowing me to speak and advocate. This is extremely important because, for years, I experienced trauma; and, I didn’t come to grips with it until it gripped me. Layers of trauma had to be delicately pulled back as I sat in the truth of my experience. I had to forgive, be accountable, and ultimately love who I am – not who society wanted me to be. I enjoy physical activity as a form of healing and I am always supportive of each person’s journey. I always remind myself to look within – check on me, first. So, I’m not pouring-out from an empty cup. This work is difficult on the mind, body and soul. Can you talk about what sustains you, and what brings you joy, so that you can continue on? Any form of advocating for humanity and human suffering is taxing on a person’s whole being. What sustains me is acknowledging what I feel. Sometimes, I don’t have words for it; and sometimes I do but, I’m in denial. Either way. I try to be honest with myself. This is an act of surrender – everyday, several times a day. I am willing to do this because I have to love me the same way I love my family and dearest friend. It requires owning, and loving, every single part of myself – good, bad, and indifferent. Being true to myself brings me joy. I’m not perpetrating in spaces and, having to “fake being fine”; and I encourage others to do the same. When people hear this, I see the look of relief on their faces. They exhale. And that, makes me happy. We know it’s OK.
Black women have always been in the forefront of the movement to end sexual and domestic violence with an uncompromising focus on how the assault and aftermath always interlocks with racism. Can you talk about this legacy and how you see yourself building on it? I would say, if we look back at previous movements that promoted social justice, equality, and human rights, black women have always shown the courage to be front and center, and the strength to stand in the gap and tow the line. This is one of the remarkable attributes of black women that make me most proud to be a black woman. The best way for me to build on this legacy is to walk in my own truth – the way God has purposed me to do. This requires some deep self-reflection and the ability to accept accountability. Through this work, and growth, we hope to take back the power that was given away, or taken away. We were honored to collect quilts to bring more visibility to your case and show your the number of survivors who support you, and are so grateful that you can come and speak at the culminating display of the Monument Quilt project. Can you talk about what it means to you for communities of survivors of sexual or intimate partner violence to organize together and in solidarity with one another? It’s an honor for advocates, activists, and survivors to stand in solidarity and organize in such a creative way. I was traumatized for almost 8 years. For half of that time, I had to live my life under a microscope – with school-aged children, including a 3-year old with whom I was attempting to establish a relationship. That was particularly difficult because I had been out of her life for 3 years. It means (to me) that survivors can uplift one another – saying that no matter what, you have a non-judgmental, safe, place to share your story. 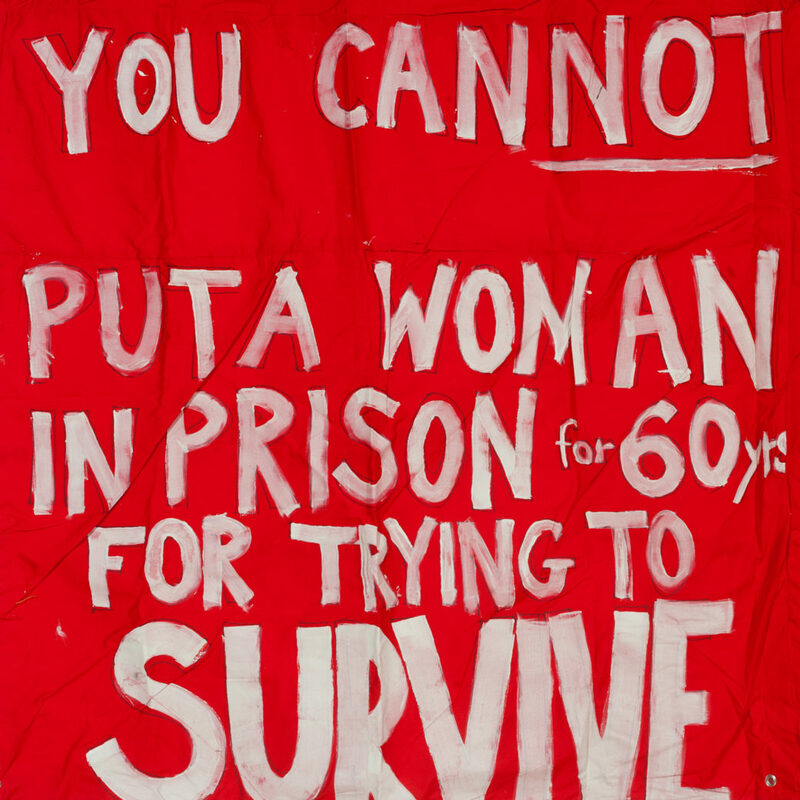 When communities of survivors organize, they organize and support in many creative ways. And then, they use technology as the megaphone. I remember my twins showing me ALL of the efforts. They were in awe of how so many people, from all over the world, supported one woman. It was especially important for me to educate them on how the power of the pen is mightier than the sword. I shared, with them, the details of the initial letter I wrote about my injustice; and, how the people’s microphone was more powerful than the grenade of injustice.